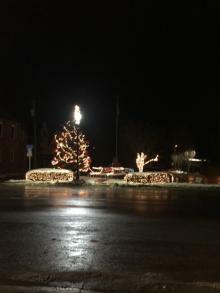 The Holidays are upon us, Thanksgiving, and Turkey and all the Trimmings, have been served up and enjoyed, and now we look forward to Christmas and the New Year, and all the Holiday activities. 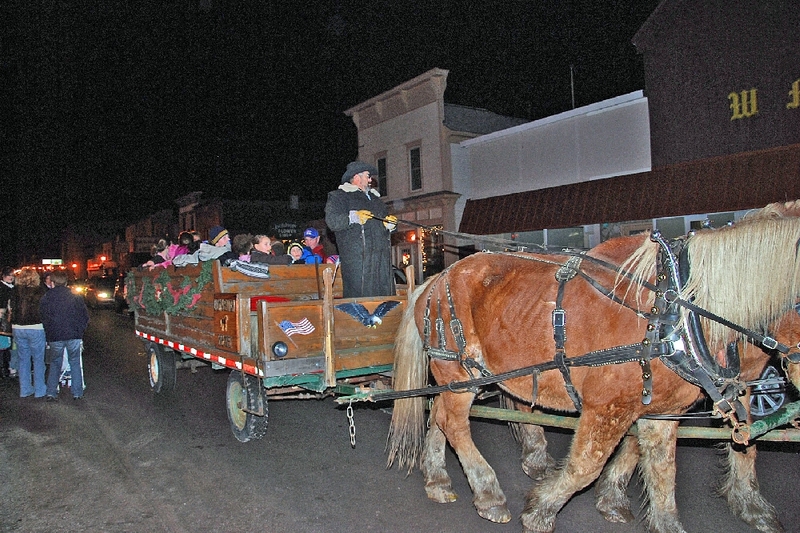 Sleigh Bells ring, as visitors to Hancock ride through the Town, while waiting for Santa to arrive. 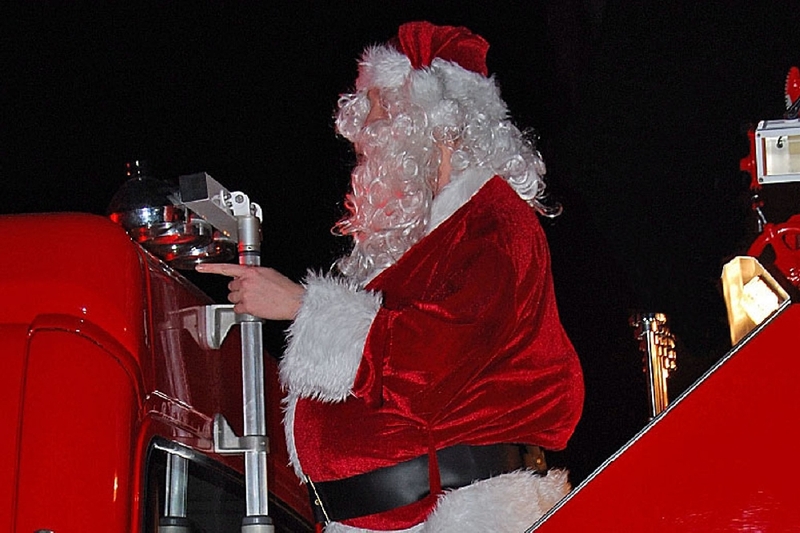 And right on time, Santa arrives on the Hancock VFD Fire Truck at City Hall. 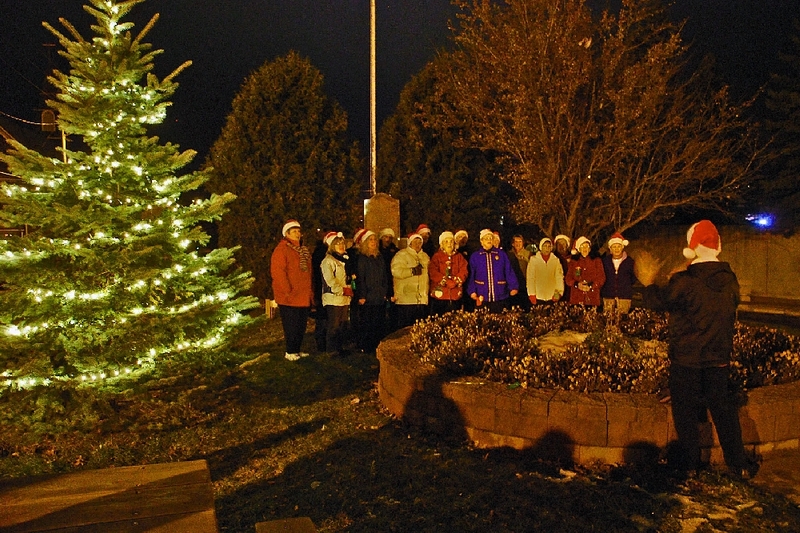 The Note Worthy Singers are on hand, to serenade all those waiting, and to herald the lighting of the Christmas Tree, under really great weather this year. 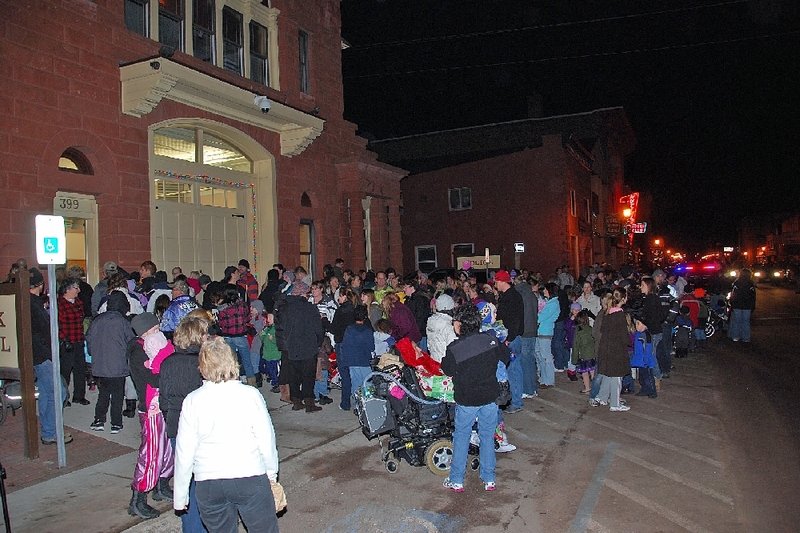 Each year, it seems the crowd grows a bit larger, with youngsters waiting to give Santa their wish list for Christmas. 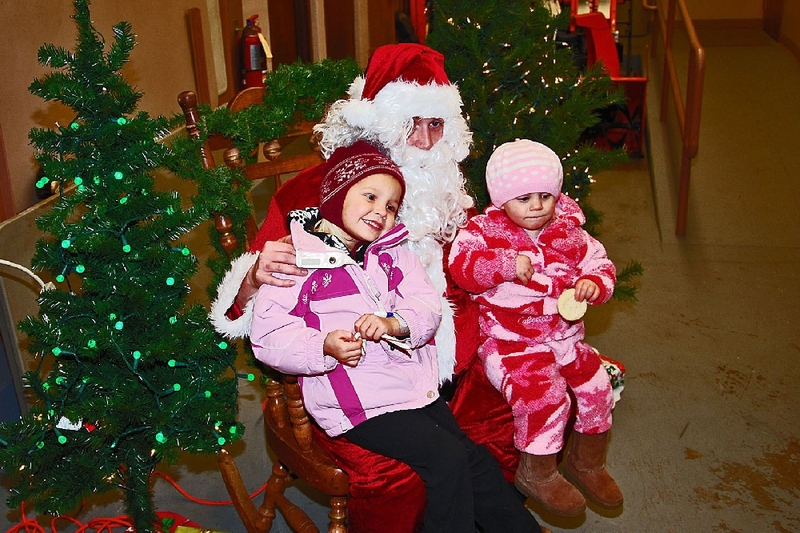 Taking their turn is Alecia and Irina Aho (ages 3, and, 1, respectively), whose parents are Steve & Elizabeth Aho, of Coal Dock Road, Hancock. 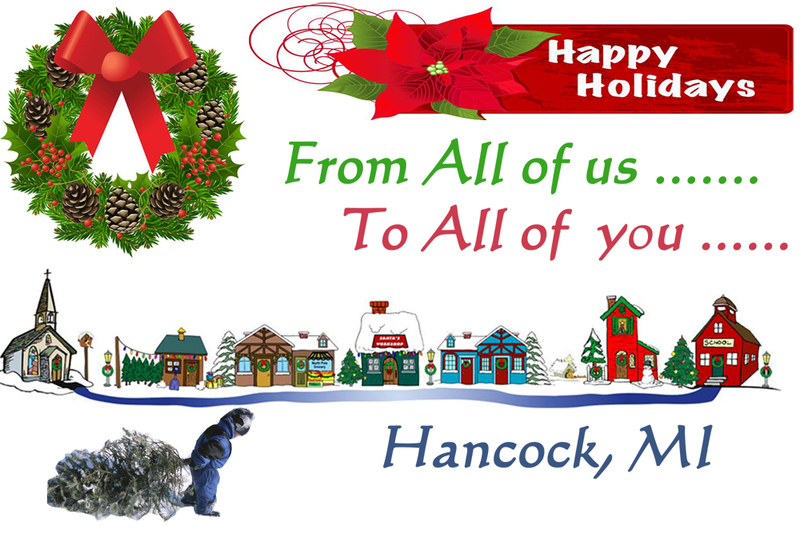 The Hancock City Council, Administration, City Office Staff, and Employees, wish everyone a joyous Holiday, and as 2011 draws to an end, a prosperous and Happy New Year in 2012.